Costa Rica hotels are perfect for all kinds of travelers. You can find here stunning beach properties and amazing mountainous hotels with all the comfort and luxury to make your stay the perfect way of creating great memories of your vacation in Costa Rica. In this article we will see closely two of them, one concerning to the sun, ocean breeze and palm trees; and the other one more likely to the windy and forest ambiance of the mountains of Perez Zeledón, part of the Central Valley where San José Costa Rica, the capital, is located. The first one is Casa Chameleon hotel, an adult property located in the beautiful region of Guanacaste Costa Rica, amidst the warm climate and the perfect pictures of beach landscapes. Recently, Casa Chameleon has been featured in CNN's October 2017 article, "Laps of luxury: 17 jaw-dropping pools around the world." There are two Casa Chameleon hotels in Costa Rica; the first one located in Malpais Beach and the other one in Las Catalinas. 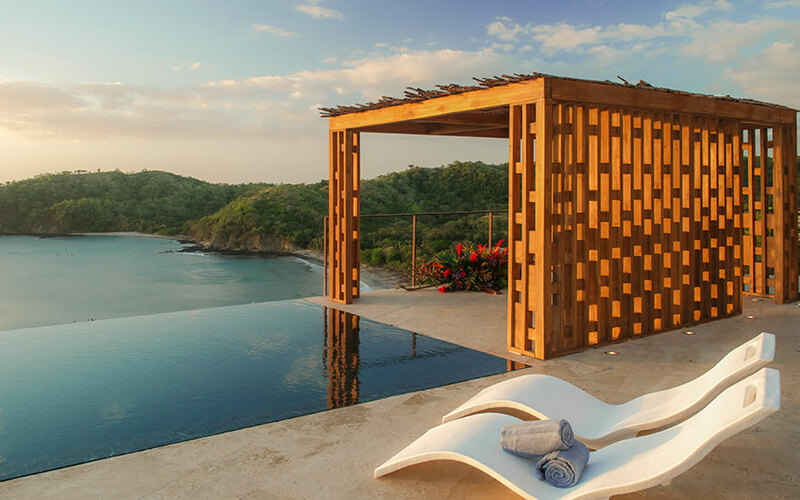 CNN praised the newly opened Casa Chameleon at Las Catalinas for its prime location and outstanding zero-edge infinity pool, stating that “there are few better ways to cool down” while vacationing in Costa Rica. This private boutique lodging is completed with various in-room spa services and different handcrafted adventures that will take visitors from sea level to the rainforest hills where they can appreciate one of the best places of Costa Rica for its views and lush nature. CNN mentioned that the property just found the right and perfect balance between the practical luxury and the community focus -as they contribute to the local conservational programs-, and between the tropical adventures and sustainable measures. This shows the love they have for Costa Rica and how much the place offers best experiences for those travelers who deserve some relaxation and tranquil time in holidays or during a romantic escapade trip. It is well-known that boutique hotels in Costa Rica and luxury resorts have made a point during the recent years of building great and amazing enjoyable pools, as there are many of them in the country, but only this one has been recognized and included in the CNN list of the “17 jaw-dropping pools around the world”. 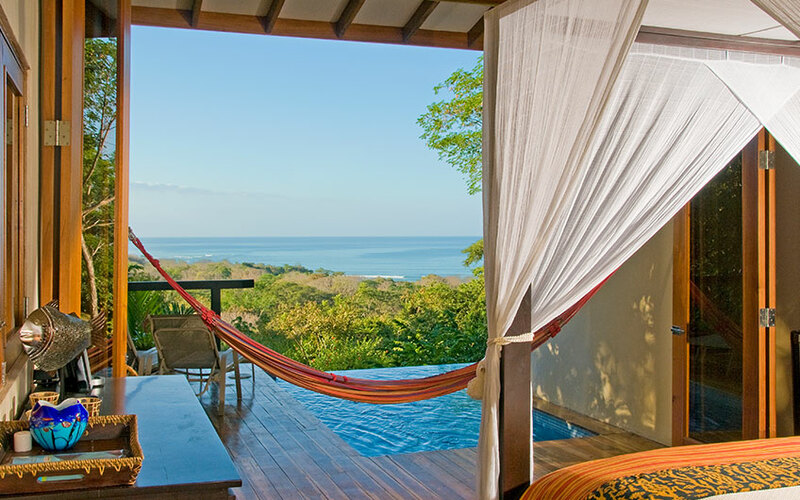 “The adults-only resort Casa Chameleon is a hilltop boutique property in Costa Rica with a zero-edge infinity pool overlooking the Pacific Ocean and tropical dry forest below. After hiking and biking local trails, kayaking or beach lounging, there are few better ways to cool down, while sunsets are particularly spectacular”, reads in the list of CNN. The article included pools located in Italy, Chile, Tanzania, China, Maldives, Portugal, Seychelles, Saint Lucia, Hong Kong, Panama, Japan, California, and Switzerland. 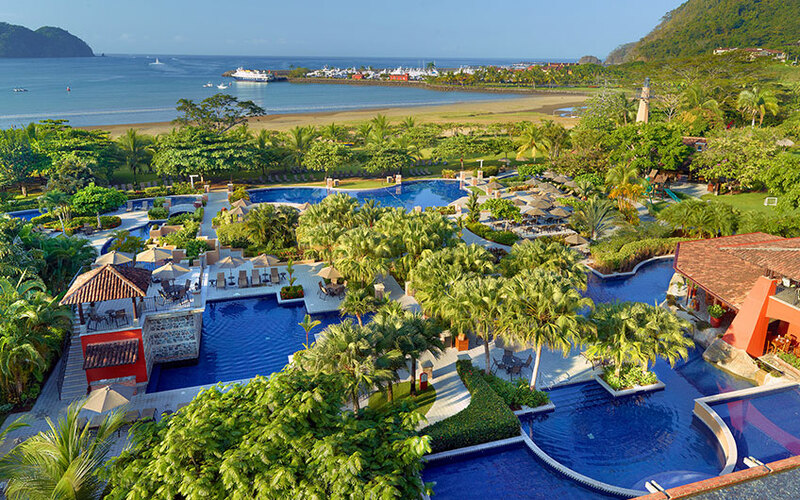 During 2016, the ABC show “Good Morning America” asked their viewers to vote for the most incredible and amazing pools in the world, and voters then mentioned two pools located in Costa Rica: the one at the Mangroove Hotel in the Papagayo Gulf in Guanacaste, and the one that can be found in Jacó at Los Sueños Marriott Hotel. If you want to know more about amazing pools, then you may know that other spectacular pools in Costa Rica which include incredible views of the surroundings are the one located in the adults-only property named Kurá Design Villas in Uvita between the Central and South Pacific area of Costa Rica. Punta Islita’s hotel pool in Islita, Guanacaste, and the one located at Gaia Hotel and Reserve in the famous area of Manuel Antonio are part of the list too. The Hacienda AltaGracia An Auberge Resort in Costa Rica heads the list of the 15 best hotels in Central America, according to the vote of readers of Condé Nast's magazine Traveler. This resting place obtained 97.7 points out of 100 possible, followed by the Costa Rican property of El Silencio Lodge & Spa in Bajos del Toro, with a score of 97.62. 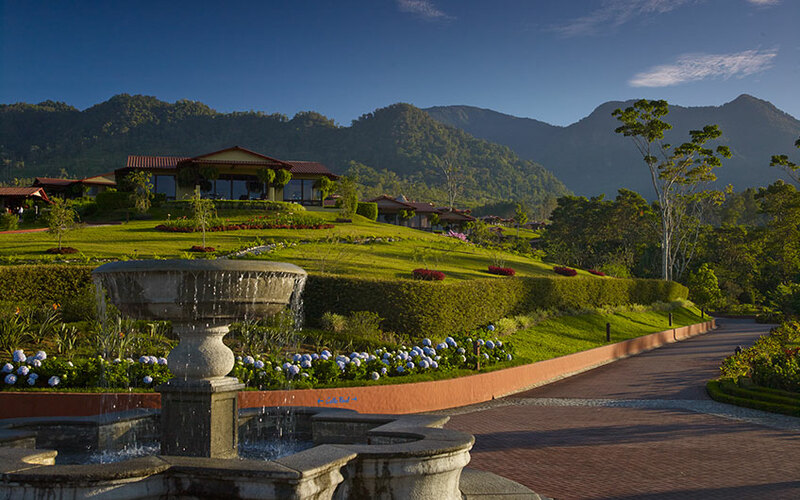 The third place corresponds to Panama, with Westin Playa Bonita and 97.32 points, and in fourth place is found the Nayara Springs Hotel, located in La Fortuna de San Carlos, in the province of Alajuela, which also holds the sixth place with Nayara Resort, Spa & Gardens and the eighth with Tabacón Grand Spa, Thermal Resort. All of them located in La Fortuna Costa Rica. The fifth step is taken by Nicaragua with Nekupe Sporting Resort and Retreat, in the department of Nandaime, a country that also holds the ninth seat with Mukul Beach, in Guacalito, in the department of Rivas. Belize gets the tenth place with Matachica Resort & Spa, the fourteenth with Hamanasi Adventure and the fifteenth with Turtle Inn. 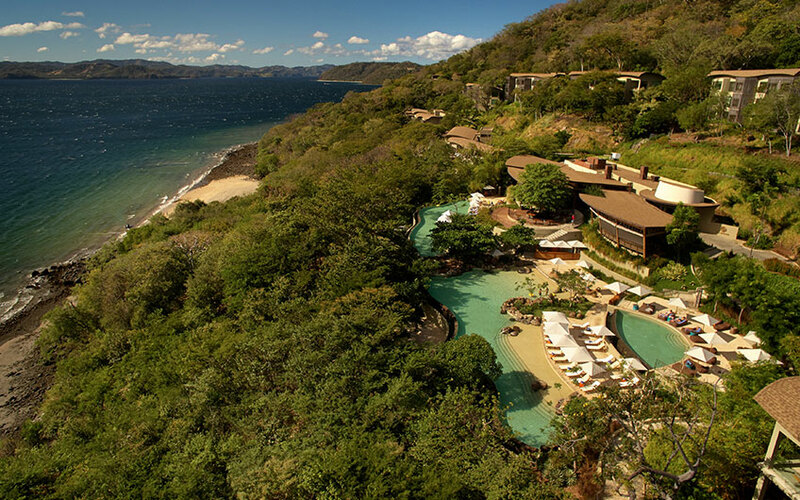 The Costa Rican province of Guanacaste has three facilities on that list, with Hotel Punta Islita (seventh), Andaz Peninsula Papagayo (12th) and Four Seasons Resort Costa Rica at Peninsula de Papagayo (13th). The Soul of the Pacific Beach Resort & Spa, in the province of Puntarenas, also in Costa Rica occupies the eleventh place. The Hacienda AltaGracia An Auberge Resort in Costa Rica heads the list of the 15 best hotels in Central America, according to readers of Condé Nast's magazine Traveler. And it is the first hotel of the brand to be listed in Central America. Sustainability here is very important too, and they have developed great sustainable programs in collaboration with the community, which has helped the local producers and improved the region’s economy. All you need is to try both hotels when visiting the country, to include both of them in some great Costa Rica vacation packages is an easy job to us, and we will be more than pleased to help you in the arrangements of your next holidays in paradise. We want to see you enjoying that amazing pool with a cocktail in your hands! Don’t miss it!